Birthdays are occasions for celebrating the lives of loved ones. 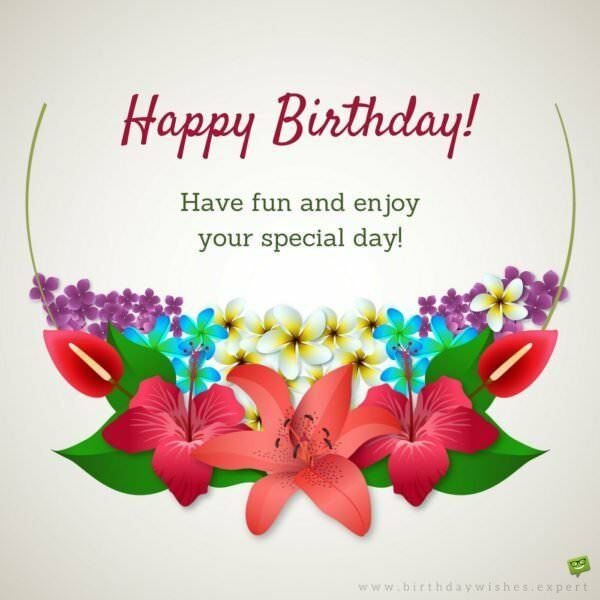 With friends in particular, it is a chance to send people who have chosen to provide love, support, and understanding birthday wishes that express gratitude for their camaraderie. 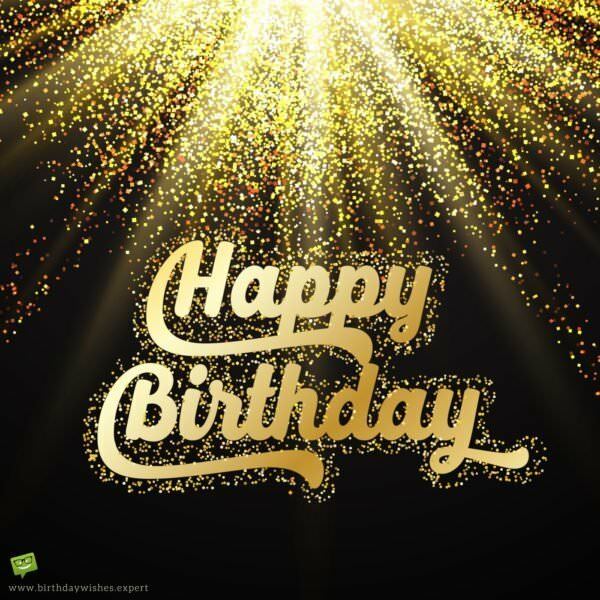 These birthday wishes are significant because it is rare, in a person’s daily life, to encounter other people who share these special qualities. Since each person’s life has become busier, it is even more rare to maintain friendships. When it is possible to, sending birthday wishes makes it all the more meaningful. To show appreciation of your friends, it is preferable to send each person a birthday wish that is unique. Whether you have a friend who is sentimental, one who enjoys humor, is nostalgic, or celebrating a momentous occasion, such as a 30th Birthday, a wish that suits each person can be found here. My friend, you possess nobility and concern for others. 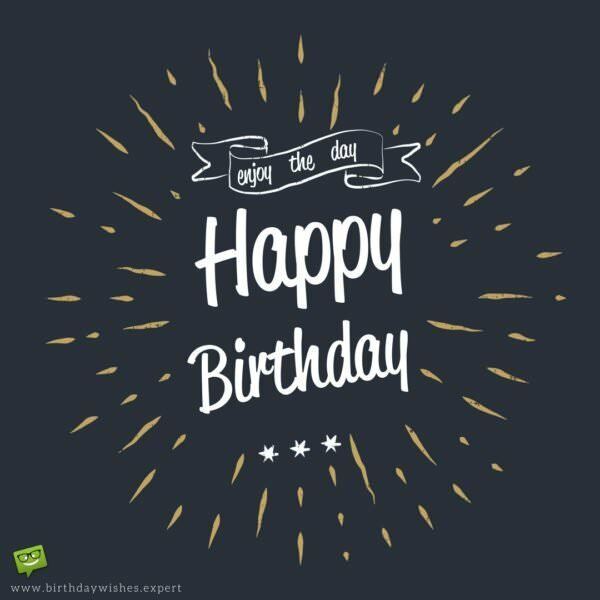 I am honored to wish you a Happy Birthday! You are a splendid friend! The date of your birth brings exuberance to everyone who knows you! Your reliable presence has brought stability to my life. Happy Birthday to my rock, my best friend! The day you entered the world was the birth of a trailblazer! Happy Birthday to a friend who is always original and never follows the crowd. The depth of our friendship is rare. On your special day, know that you are cherished! The anniversary of your birth is the perfect time to tell you what a good friend you are! Happy Birthday to the person who encourages my dreams. May all of yours come true! Cheers to a friend who makes me laugh until my stomach hurts, and reminds me to always find humor in life! Your honesty reminds me of who I am. Wishing a genuine person and friend a Happy Birthday. 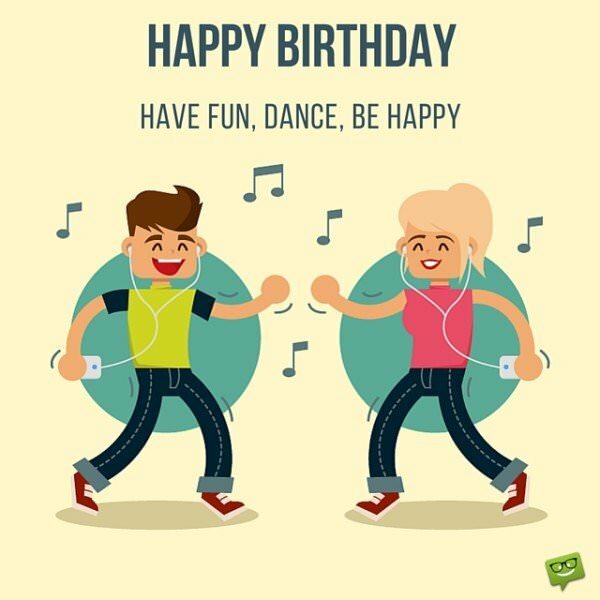 May the music at your birthday party be lively, your cake taste delicious, and everything that you wish for comes to pass! Every year, you go out of your way to make my birthday special. This year, I want to return the favor, and start by letting you know how much you mean to me. Happy Birthday to the best friend that I have ever had! I hope the merriment of your special day reaches incredible heights! Thinking of you on your birthday, and hoping that your heart is full of the same joy that you have brought to our friendship. 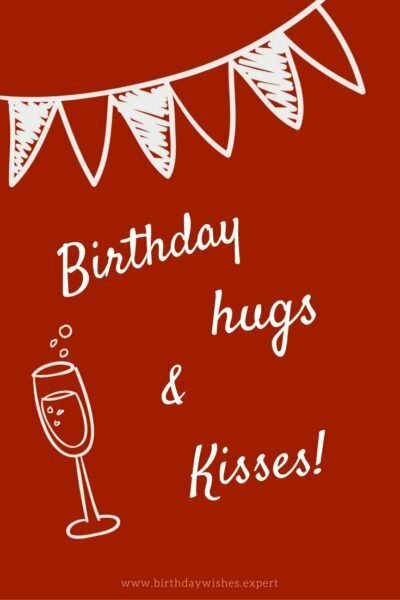 Wishing a dear friend, who is like family to me, a Happy Birthday and all the luck in the world! 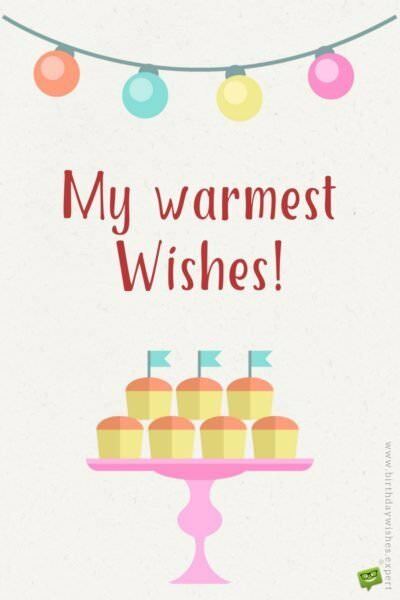 Sending birthday wishes to a friend who makes even the dullest days brighter! 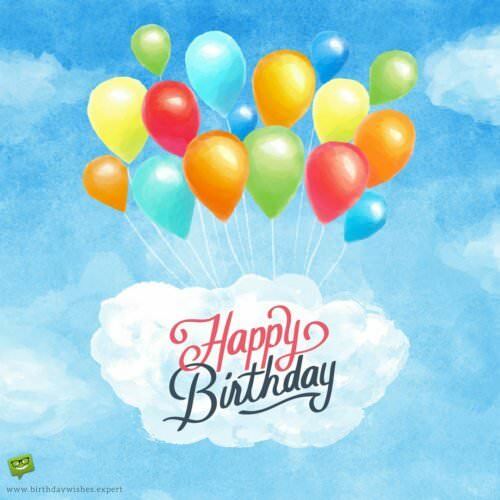 To a special friend on your birthday: May you always have good luck, and only experience true happiness! Happy birthday to a friend who exemplifies courage! Although we haven’t been friends long, the time we have spent together means the world to me! Happy birthday to someone who only deserves the best! Meeting you was life-changing. Being your friend has been my greatest pleasure. Best wishes for a sensational birthday! 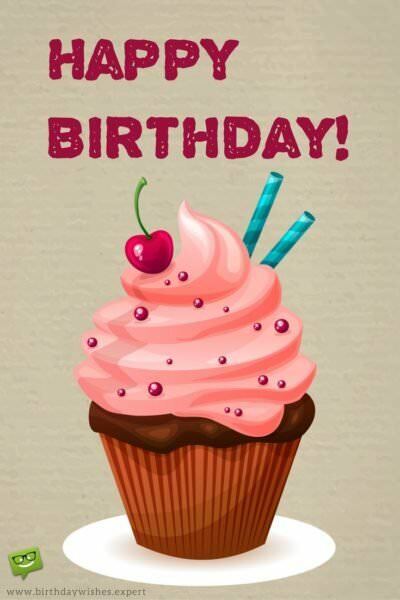 May this day be a spectacular model for all of your birthdays to come! In our friendship, we talk about things that matter. Nothing matters more today, than wishing you a birthday filled with more talks, laughter, and camaraderie! No social gathering is complete without you, friend. This time, the festivity is for your birthday. I hope you have a good time! As your friend, I have observed how ambitious you are, and how you always look forward. These are vital parts of your personality! In this landmark of your life, I want to express a birthday wish for success in all of your ventures! When I sit down and think deeply about all the amazing love you show to me, I am certain I would have never been able to have you in my life if God had put a price tag on you. Happy birthday, my dear friend. Losing everything I possess would never near the pain of losing the friendship we have because it means the universe to me. Happy birthday. Ever since we became friends, you have always put a smile on my face. On this outstanding day of yours, I wish you oceans of smiles and love. Enjoy every single moment of your Big Day. In my eyes, you are just like the sun. Even though you are far away, the light of your friendship is shines brightly enough to brighten my day. Have a truly fun birthday. Just like the ocean won’t be an ocean without water, so also would I not be who I am without your presence in my life. Happy birthday. In the same manner the water quenches thirst, so also do you quench all the fears in my life with your love. I am truly blessed to be loved by such a wonderful person like you. May your birthday be as gorgeous and magnificent as you are! If my heart was a house, I would rent it out to you free of charge because I wouldn’t want you living anywhere else. Thank you for blessing me with your amazing friendship. Happy birthday. May your birthday be filled with reveries… and not that bad of a hangover, tomorrow. Happy Birthday to the person most likely to give me bail money! Happy Birthday! You are as old as you are wise! On your birthday, remember: You’re as old as you feel. Better luck, next year! Dinosaurs, the invention of fire, cave drawings; what marvelous things you saw growing up! Here’s to another year of sights! It’s your birthday! Party hard! Well, not too hard. You are old. Nothing can take your place in my heart; not even fried chicken. And I really love my fried chicken more than anything in this world! Happy birthday. Today, you officially become an Old Timer. No prayers or cries to Heaven can save you from that! Do I need to get the fire department to help you quench the candles galore covering your cake? Happy birthday. On your Big Day, I know you are worried about becoming older and developing new wrinkles, but you can take comfort in the fact that you haven’t started looking like Keith Richards yet. Happy birthday, dear friend. May you keep making boss moves wherever you go! Are you having problems acting your age? You have never been this age before so why worry? Happy birthday. Always remember that your birthday warrants a celebration as wonderful as you are! Through the years, you have listened to me when I needed to vent, and shown me compassion when I couldn’t even give it to myself. Happy Birthday to a dear and trusted friend! Mutual respect is the best quality of our friendship. As you celebrate your birthday, know that you are held in the highest regard, by me. Your loyal and considerate nature has shown me the way a friend should be. Happy Birthday to the best person that I know! I hope that our bond continues to strengthen, with time. Happy Birthday to my very best friend! The advice you have given me has been greatly appreciated. Happy Birthday to a positive and wise friend! Watching the grace in which you have handled difficult situations in your life is inspiring. On your birthday, be proud of who you are! Today marks a life that is luminous and worthy of praise! May your birthday and all that follows be grand! 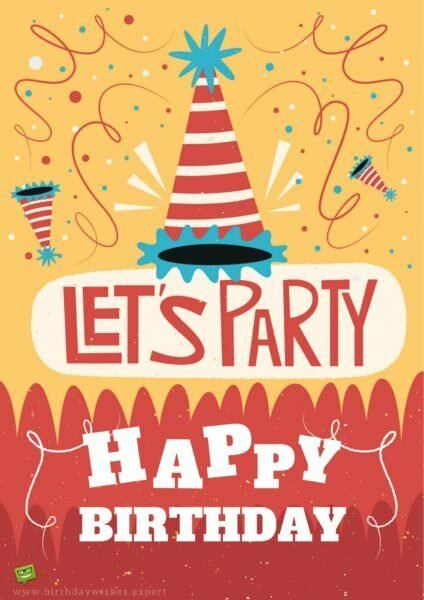 As your special day is commemorated, share stories with friends, enjoy birthday cake, and dance throughout the night! Dear friend, let the magnitude of your birth remind you of your greatness! May your birthday be a remarkable experience in an already extraordinary life! As your birthday commences, know that you have made such an impact on all of your friends, that it will be remembered, for years to come! Happy Birthday to someone who has brought meaning to all of our lives! Throughout our friendship, recollections of your birthday have brought about feelings of euphoria! May this day be no different than the rest! As you draw closer to adulthood, it is my wish that you will experience only the good things this world has for its inhabitants. Stay positive in everything you do. Happy 16th! Happy 16th birthday! I am so happy that you have reached this milestone age. It is my wish that you will let wisdom govern your choices as you enjoy all the benefit that comes with this age. This is definitely one of the most important chapters of your life. It is my sincere wish that you are inspired enough to reach the heights the average person can’t reach. Happy 16th birthday. As you enjoy this special age, it is my prayer that your life will be a magnet of good fortune. I’m so thankful to have you in my life as a friend. Have a gorgeous sweet 16. Dear friend, my wish for you as you celebrate this special age is that life offers you nothing but the things that will bring happiness and greatness to you. Happy 16th! Happy birthday to my magnificent friend who turns 16 today. It’s amazing how every blessed year you become more and more awesome! As you celebrate this remarkably special age in your life, I want you to know that you have what it takes to move mountains. Never doubt yourself. Have a happy 16th birthday! Dear friend, this message is to officially welcome you to the world of adults! Nothing is more joyous than having the opportunity to make your own decisions. I wish you an adult life full of happiness and endless successes. Turning 18 comes once in a lifetime. Not only does this age usher you into adulthood, but it also offers you some of the greatest opportunities in life. It is my wish that you grab all the opportunities that come your way so that you can reach remarkable heights in life. Happy 18th! Congratulations on turning 18, my dear! As you begin this significant era of your life, I hope you’ll meet with things that will bring you all the happiness and prosperity that you deserve. Happy 18th birthday. On your 18th birthday, I can’t assure you an absolutely smooth and happy life, but I can assure you that I will always be there for you as a friend whenever you need me. Happy birthday. Happy 18th, dear friend. May you achieve every dream that you pursue. It is my wish that you become prosperous in everything you do, beginning from this day very day that you turn into a full-fledged man/woman. Have a fabulous 18th birthday! Among the privileges afforded mankind, there’s none greater than having a wonderful friend like you. Happy 20th birthday. Wishing my sweet friend who turns 20 today a birthday celebration that is as gorgeous as him/her! It is my wish that your life will forever attract happiness. You have reached a point on the ladder of life where good decisions must be made in order to be successful. I hope that you receive divine inspirations to chase after your desires and make the right choices in life. Happy 20th birthday, my dearest friend. Welcome to your twenties dear friend. This is the time to stop worrying about people’s comments about you. Live your life the best way you can. Happy birthday. At this milestone age, your destiny lies in no one’s hands but yours. I wish you the best of luck as you continue life’s amazing journey. Happy 20th. This is the stage where adult life really begins. It is my wish that you see life as a marathon and not a sprint in order to achieve the successes and happiness you desire. Happy 20th birthday. 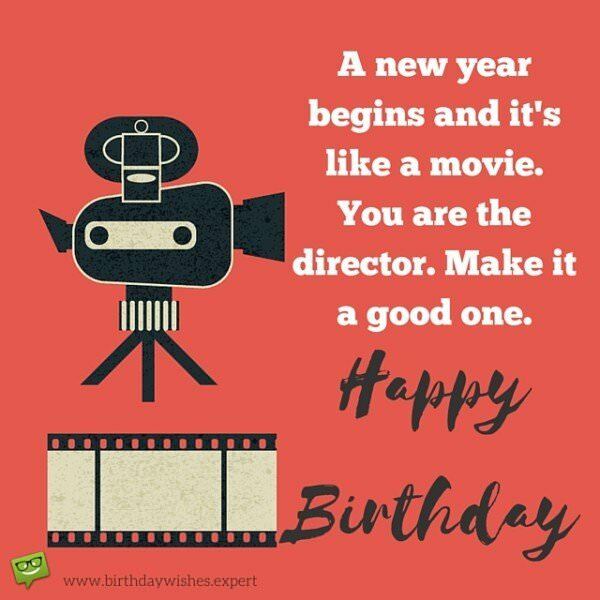 A new year begins and it’s like a movie.You are the director. Make it a good one. Happy Birthday. Welcome to 30! The age when you should know better, but really don’t! They say 30 is the new 20. They say a lot of things. May memories of your 30th birthday be reflected on, in the coming years, with joy and laughter! Here is to the 3rd decade of your life being full of happiness and progress! The 30th year of your life is rich with significant changes. My wish for you is that every one makes you smile! They say 30 is the new 20. Well… they say a lot. Happy 30th Birthday! You have always dreamed big and focused on the future. May your thirties exceed all of your expectations! Some people believe that the most important events in life occur before 30. You and I both know that each life is unique and often, the best is yet to come. 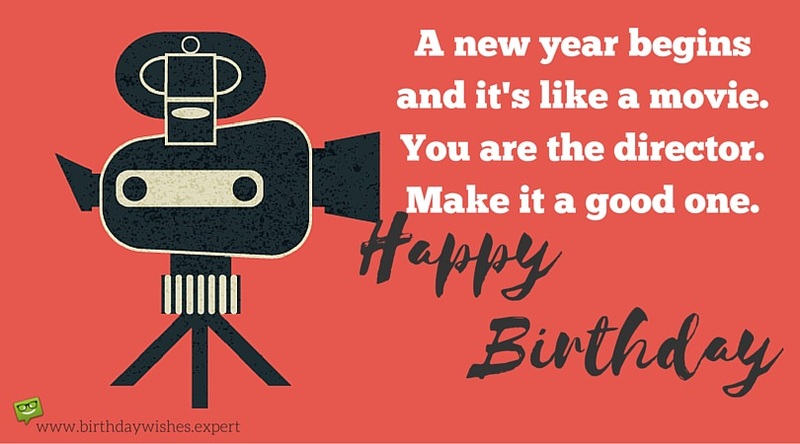 May your 30th birthday bring more possibilities for the future! May the candles on your birthday cake shine brightly, as you celebrate 30 years of a fantastic life! On your 40th birthday, it is my wish that you live the rest of your life not regretting anything you did before this age. Enjoy all there is to enjoy in this life. Have a wonderful birthday, friend. 40 looks so astonishingly good on you, my dear friend. May you continue to be blessed all the days of your life. Hope you have a fantastic 40th birthday. On your 40th anniversary, I not only want to wish you an abundance of happiness in your life, but I also want to use this opportunity to thank you from the depths of my soul for being an extraordinarily wonderful friend to me all my life. Thank you for always bringing me up whenever life brings me down. Special congratulations to you on your 40th birthday! It is my sincere wish that this great day marks the beginning of a life full of true happiness. You have been a great friend to me in both good and bad times. Have an incredible 40th birthday, my beloved friend. A warm hug for my beloved friend. Happy Birthday. Happy Birthday! Have fun and enjoy your special day. Happy Birthday to a friend. Dance, be happy, have fun.